This quarter (April – June 2017) we supported the Reptile and Amphibian Group for Somerset (RAGS) – Mendip Ponds Project. 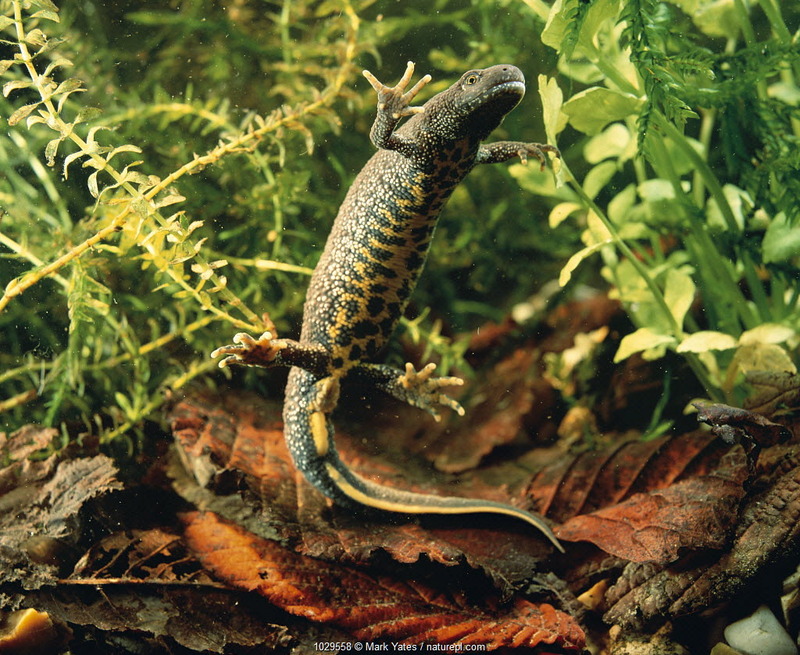 We supported Reptile and Amphibian Group for Somerset, a small grassroots group dedicated to the conservation of reptiles and amphibians in the county. 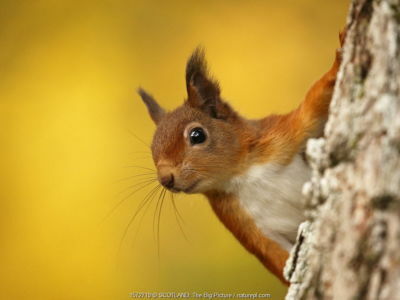 Originally set up by the Somerset Wildlife Trust as one of its specialist groups, RAGS now operates independently but works closely with the Trust on various projects. Most of their work involves surveying for reptiles and amphibians, keeping a database of records to map the distribution of reptiles and amphibians across Somerset and monitoring important populations regularly to react swiftly to emerging threats. 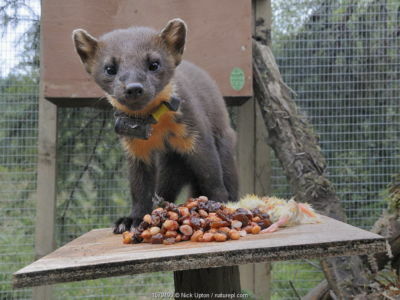 They also provide advice to land owners and managers on the conservation of these animals and undertake practical conservation tasks such as scrub clearance and pond restoration. Our donation will contribute towards the restoration of a pond in the Mendip Hills. 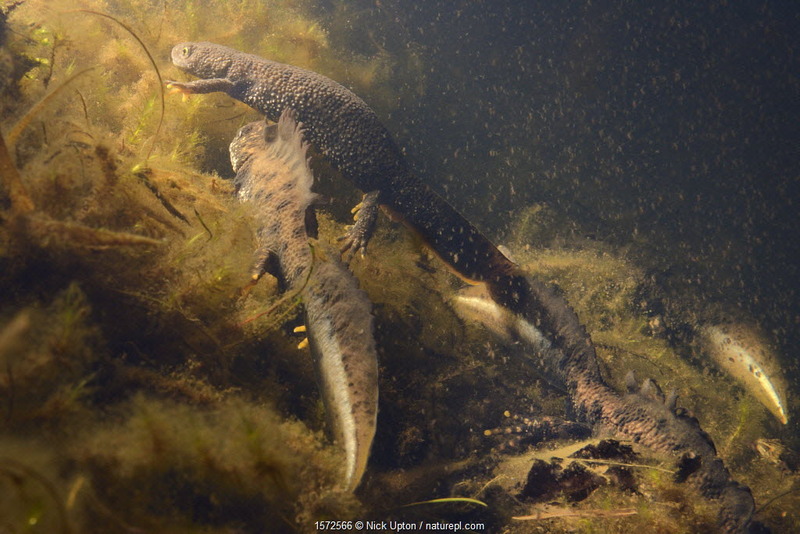 The Mendip Ponds Project aims to restore at least 14 Mendip ponds over the coming year, enabling crested newts to return to parts of the hills from which they have disappeared. 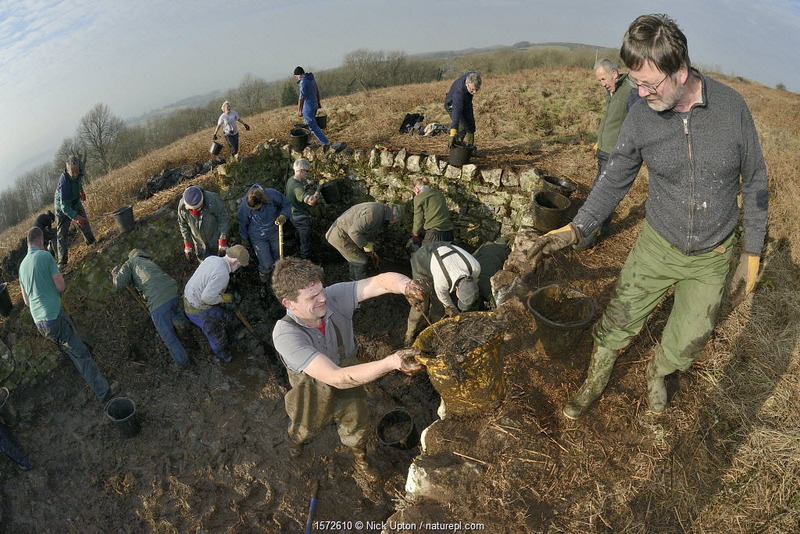 Volunteers from the Reptile and Amphibian Group for Somerset and Somerset Wildlife Trust clearing weeds and mud from an overgrown, derelict dewpond during renovation work to encourage use by Great crested newts (Triturus cristatus) and other pond life, Mendip Hills near Cheddar, Somerset, UK, January 2017. Model released. 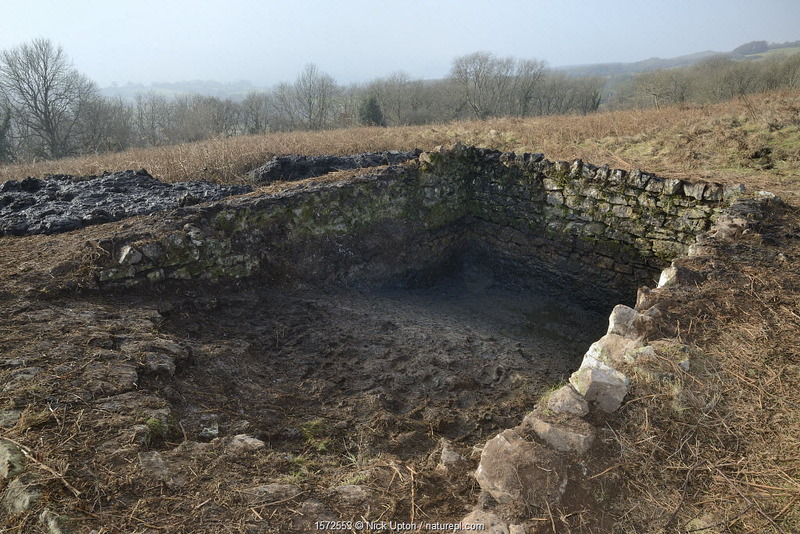 Derelict dewpond cleared of weeds, mud and rocks by volunteers from the Reptile and Amphibian Group for Somerset and Somerset Wildlife Trust during renovation work to encourage use by Great crested newts (Triturus cristatus) and other pond life, Mendip Hills near Cheddar, Somerset, UK, January 2017. 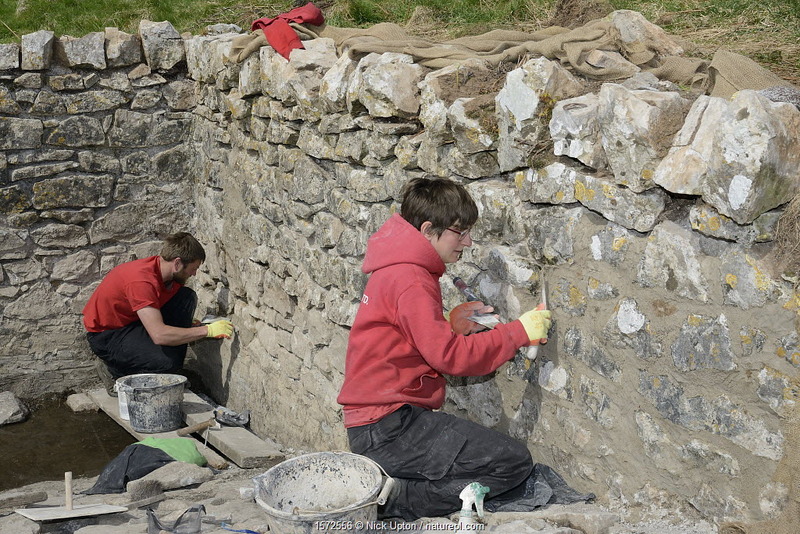 Green Mantle contractors repointing the walls of a derelict dew pond with lime mortar during renovation work to encourage use by Great crested newts (Triturus cristatus) and other pond life organised by the Reptile and Amphibian Group for Somerset, Mendip Hills near Cheddar, Somerset, UK, April 2017. Model released. Great crested newt (Triturus cristatus) male in a pond maintained for newts and other pond life surrounded by Water fleas (Daphnia pulex), a major prey item, Mendip Hills, near Wells, Somerset, UK, February. Photographed under license. 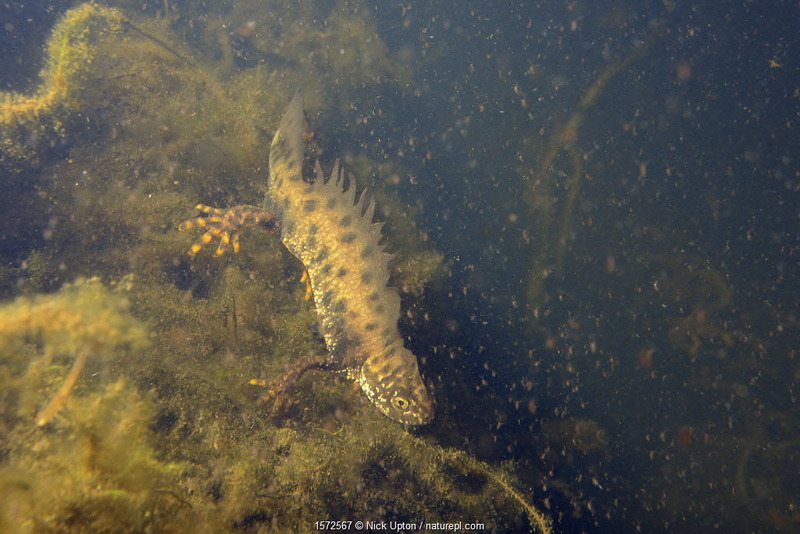 Great crested newt (Triturus cristatus) female aproaching two courting male waving their tails in a pond maintained for newts and other pond life, Mendip Hills, near Wells, Somerset, UK, February. 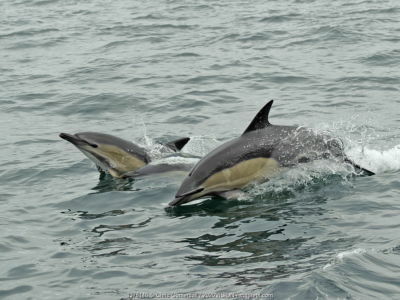 Photographed under license.